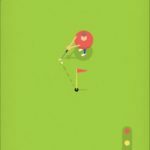 Golf Rival is lightweight multiplayer game with custom clubs, custom balls, custom courses and thrilling competition with your friends and rivals all packed into your smart phones. The game mechanics are simple and easily understandable. You pick the spot where you want to ball to land. You pick the power of the ball and release the ball to strike. One tricky part in Golf Rival is to balance the moving bar when releasing the ball to strike. You have to keep the moving needle in the bar as close to the center as possible when you are releasing the ball. Otherwise, your strike will not be perfect and you will find the ball leaning towards one side or the other after it has been struck. 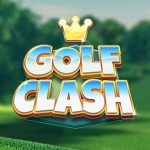 As you defeat opponents, you are rewarded chests and trophies that can be used to unlock newer courses and get new clubs and balls. As you progress in the game, the difficulty level rises. Each new course brings its own new challenge. The second course brings with it, the wind challenge. The third course brings the power reduction challenge. The terrain also affects your strikes in the game. If you are on a steep ground or if you’re in rough area or you’ve managed to land in the bunker, the power of your strikes can reduce dramatically and so can the direction of your ball. It looks like a simple game but once you start to get used to it, new challenges are introduced to keep you on your toes and keep things interesting. We have prepared this comprehensive Golf Rival guide to help you get the better of this game and your rivals. 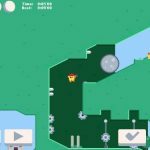 So let’s not waste any of your time, instead move on to our Golf Rival cheats, tips, tricks and hints to beat your rivals! When you are picking the spot you want to land onto, remember that your ball is going to bounce forward a couple of times and cover a few more feet. Don’t aim for the farthest spot possible because more often than not, your ball will bounce off the landing spot and into the rough terrain. When you are picking your first landing spot, plan your whole game. You want to get in line of the pin in as few shots as possible. The terrain is often twisted and steep. You can easily gain advantage over your rivals if you can reduce the number of shots you have to play. For example, if the course is ‘U’ shaped, the first thought that comes to mind is that you would need three shots to get in line with the pin. However, you can also just play the course in two shots if you don’t try to cover the course in straight lines. Think outside the box. Before every shot, check exactly how far you can reach. The game often tries to trick you into a “recommended” length of the shot. Always check if you can strike even father and get closer to the pin. When you are in rough terrain or in the bunker the game keeps the aim of your shot close. Do not let it fool you. You can easily extend your reach by dragging the aim father. When striking the ball, the game shows you a blue circled area as the recommended power for your shot. If you drag it back farther, the moving needle on the aiming bar goes insane. Don’t be scared though. That needle is not that difficult to tame. It only takes a few shots to figure out the needle’s movements. If you are able to understand how the needle moves, the next time you see a chance to strike with full power, you can easily surprise your opponents with your trump card and gain on them by striking with maximum power! As you defeat opponents and gather trophies, you will unlock new courses. Each courses introduces a new challenge for you. So when you are picking the landing spot for your strike, take a moment to notice a wind or power reduction indications in the corners of your screen. Consider those stats when aiming your strike or your ball will keep going off course. And this wraps up our Golf Rival tips, tricks and cheats! With this guide, you now know the tricks to gain advantage from the get go against your opponents and beat them comfortably. Don’t forget to invite your friends to play and pick out custom balls and clubs to give the game your own touch. Also, if you have any other Golf Rival tips or tricks to share, don’t hesitate to let us know in the comments below! Enjoyable game but why when a ball goes out of bounds, in water etc. do you not get penalised as in normal golf, but merely start again as if nothing had hapoenex? I think this may be a good thing. It lets you be more aggressive and still possibly recover from a OB or water shot. So take chances they pay of big time if successful, just my opinion. How do you get the special clubs that are available at certain stages but all ready at another level. Can you still get it if you go back? Could someone please explain to me how the dandelion ball works. If the wind is at your back does the ball go 40% further and if the wind is in your face does it go 40% shorter? Just confusing to me because I never see a difference using this ball. Oh, I also agree if you go out of bounds you should be penalized. What the Dandelion ball does is increase the wind speed. So if you have a wind speed of 8.0 mph (doesn’t matter the direction), the wind speed will increase 40%. I wish when it’s your shot and someone is all ready by the pin there icon would disappoint. No fair they can see pin hole and you can’t . I have been playing for a few months love the game. I don’t understand how some players are a 1500 and have all the best clubs. I am at 3500 and struggle to keep up with lesser clubs. I mostly get upgrades for wedges and sand wedges only. Is there a trick to get the better clubs? I feel it is a very unfair game, golf is a leisurely game and with this you don’t get time to choose your club or ball before you are out of time , wouldn’t recommend it to serious golf players. Plus the pairing is also very unfair, you find you are playing against a player who has far more experience than you, and finally in the drawn games a new player doesn’t stand a chance against a player with better clubs and a selection of balls, I won’t be playing it when I can find a better golf game . That’s because you need the cards to unlock the upgrade, just as you did to unlock the new club in the first place. The yellow slider below the club with the numbers (e.g. 4/10) tells you how close you are to getting the next upgrade available. e.g. 4/10 means you have 4 cards and 10 for the upgrade, so you need 6 more. Is there any resource to show what each balls attribute is? Go into the store and press and hold the golf ball it will tell you if it’s about wind, debuff, etc. Like the kangaroo can jump after hitting the ground once and jump some gaps. What does the Mummy and Viper ball supposed to do,? If you are in the sand or rough, you will see a ground debuff notice 10 to 20 percent. Those balls cut the debuff by a percentage. Allowing you to get a normal shot off. Some Legendary clubs do the same thing, iron Peacock is one, Shuttle is a wedge is another. How do I get to move the topspin and backspin line? Someone pls kindly explain how upgrading of clubs works. You need coins and cards to upgrade. you get both from chests, and coins everytime you win. For the first upgrade get x2 cards of the club you want to upgrade and between 5 and 1k coins (depending on rarity) then upgrade in club menu. I am at level 13 and am a average player. There are a few FB groups that are very helpful if you are a player at any level. 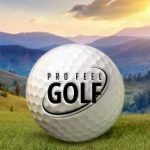 What does the buffing levels mean on a golf ball? Why did my opponent’s club change during the match? I read something about the computer playing against you, but did not put much stock in it, however…. I was playing a match, tied, had a shoot-off, and we both went out of bounds. On a second shoot-off, my opponent all of a sudden had a 5th level Earth club instead of the 2nd level he started with. WTH? Luckily “he” squibbed his shot and I was able to win, but this seems very odd. Hey, I am blocked from play for several days because I cannot “connect to server”. Anyone have any suggestions?? Unable to send message because I am blocked. I’m trying to figure out how to obtain silver coins I’ve got clubs to upgrade Ana don’t have silver coins. I’m kind of new to this game but i’m trying to figure out how to get more right and left on my clubs. i have noticed that the same clubs have more spin than others. can some one help me with this? i need more L/R spin.